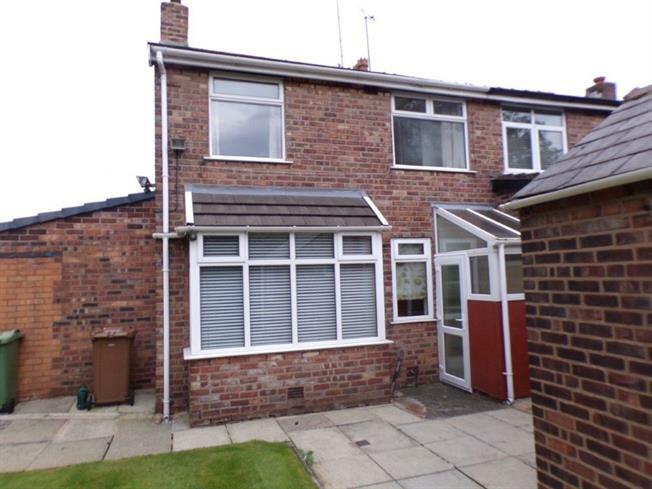 3 Bedroom Semi Detached House For Sale in St. Helens for Offers in the region of £125,000. Welcoming to the market this tidy, three bedroom semi detached property. Although needing modernising, this property has been well looked after. Located in a popular area of Haresfinch, close to transport links, schools, parks and has main bus routes to St Helens town centre. The property comprises of entrance hall, lounge, dining room and kitchen to the ground floor, there are three bedrooms with a family bathroom to the first floor. Externally there are well maintained gardens front, side and rear. Offered with no chain please contact 01744 21962 to arrange a viewing.